The simply elegant design features two pullout drawers and a lower shelf that's perfect for a pretty display or extra storage. Nestle it next to your sofa, your bedside or anywhere you need a touch classic style. 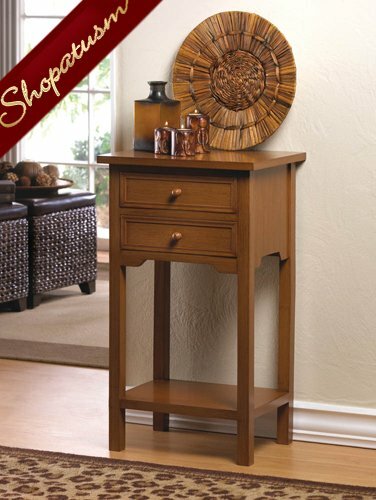 This wood table has a rich brown finish and two drawers that feature stylishly simple pulls. Item weight: 10.4 lbs. 15 3/4 inch x 11 7/8 inch x 27 1/8 inch high. MDF and pine wood.